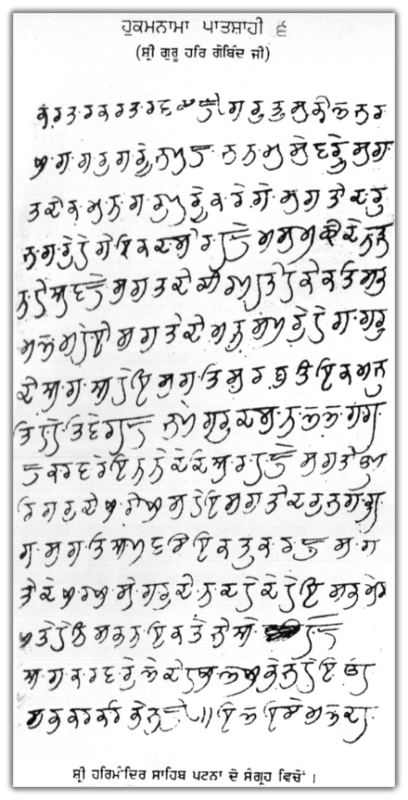 Hukamnama in Sri Guru Hargobind Sahaib Ji's handwriting, relating the Guru's hukam for sikhs to be vegetarians. Vegetarianism, the belief in and practice of eating exclusively vegetarian food and abstaining from any form of animal food. Vegetarianism is an ancient custom. Although vegetarianism originated as a religious and ethical practice, it also gained acceptance among many for aesthetic, nutritional and economic reasons. Humanitarian vegetarians refuse animal meat because they believe that the killing of animals is cruelity or that such a practice can conceivably lead to a disregard for human life. Today, vegetarian diet has gained extreme popularity all over the globe. People who adhere to vegetarianism for health reasons believe that purely vegetarian diet is more nutritious over non¬vegetarian diet and a key to healthy life. A recent study in Journal of Nutritional Medicine found that diet abundant in fruits and vegetables helps to lower hypertension and cardiovascular diseases. Vegetarian diet mainly includes grams, nuts, cereals, seeds, beans, vegetables and fruits. Hence, it is rich in fiber, folate, vitamin C, minerals, proteins and good source of antioxidants/ phytochemicals which prevent some chronic diseases. It contains low amount of fats, cholesterol and saturated fats. As a result, it minimises the risk of weight gain. This, in turn, reduces the possibilities of developing the health problems caused by obesity. Vegetarian diet is also helpful for healthy weight loss. A vegetarian diet lowers the blood cholesterol levels and decreases the risk of various disorders such as high blood pressure, stroke, heart diseases, diabetes, rheumatoid arthritis, osteoporosis, kidney diseases, gall bladder stone and cancer. Due to intake of high fiber diet, digestive health is improved. Vegetarianism protects us from certain food-borne diseases such as bird flu, mad cow disease, intestinal parasites, etc. Vegetarian diet definitely offers a number of health benefits. If we properly plan our diet, we can overcome the problem of nutritional deficiencies and improve our physical fitness and overall health. After all, healthy eating and vegetarianism is a key to healthy living. Jeea Badhhahu S Dhharam Kar Thhaapahu Adhharam Kehahu Kath Bhaaee. Aapas Ko Munivar Kar Thhaapahu Kaa Ko Kehahu Kasaaee. You call yourself the most excellent sage; then who would you call a butcher? 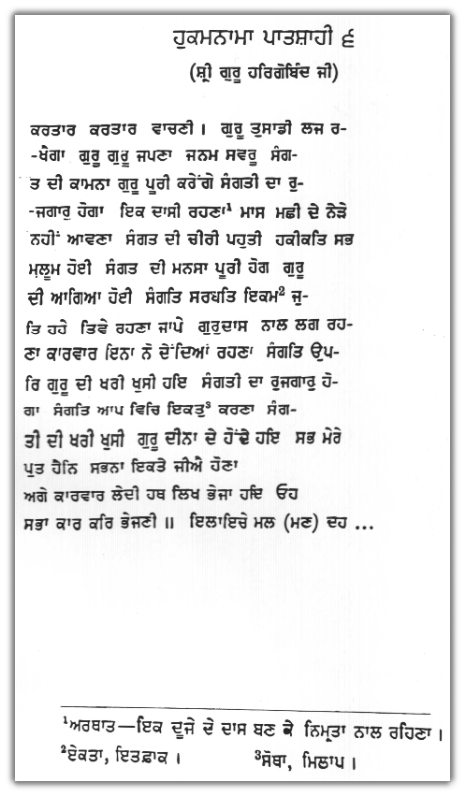 Kabeer Jeea J Maarehi Jor Kar Kehathae Hehi J Halaal. Dhafathar Dhee Jab Kaadt Hai Hoeigaa Koun Havaa ? When the Lord calls for their account, what will their condition be? Rojaa Dhharai Manaavai Alahu Suaadhath Jeea Sanghaarai. You look after your own interests, and so not see the interests of others. What good is your word? Kabeer Khoob Khaanaa Kheecharee Jaa Mehi Anmrith Lon. Haeraa Rottee Kaaranae Galaa Kattaavai Koun?